What was supposed to be a normal train ride in Chicago for Twitter user @raresoulx turned out to be the complete opposite. 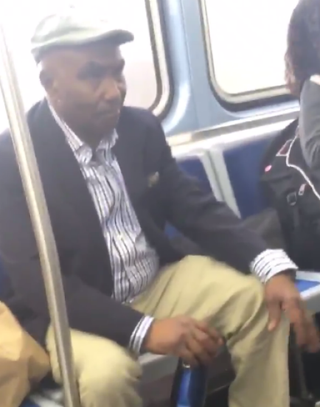 According to @raresoulx, a drunken white passenger on the train repeatedly called an elderly black man the n-word for 15 minutes. After being verbally accosted, the unidentified black man took matters into his own hands, literally. And it was, of course, captured on video. The white man was thrown off the train, and the elderly black man continued his ride off into the sunset.